The Beijing Huaan Xunchi Police Equipment Co. Ltd (Beijing, China) has selected Resolve Optics Model 228 Forensic UV Lens to help expand sales of its Reflected UV Imaging System (RUVIS) scope that are used by Chinese police forces for forensic and crime scene investigations. Mr Jia Zhenglu, sales manager of the Beijing Huaan Xunchi Police Equipment Co. Ltd commented ‘Traditionally our RUVIS scope has relied upon a fixed focus 78mm UV lens, image intensifier and camera to photograph latent prints before beginning processing and collection’. He added ‘We have chosen to replace the fixed focus lens with the Resolve Optics Model 228 Forensic UV lens as it offers many advantages both in terms of performance and ease-of-use’. The Model 228 lens uniquely provides high performance in both the UV and visible wavebands, which enable investigators to identify and focus on a target in the visible and then quickly slide the UV filter across to take images in the UV without having to refocus. 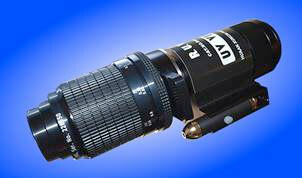 By using a novel telescopic focusing mount the lens gives a large movement in an extremely compact form. This provides the lens with the capability to image objects from infinity to 1:1.25 magnification without using add-on adapters. 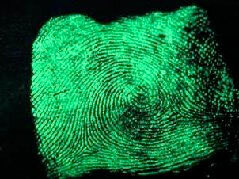 Offering a wide field of view (8.3° at 1:1.25 magnification up to 16.6° at long object distances) the lens offers unmatched high-resolution macro images for fingerprinting and human skin damage applications in particular. Because of its wide field of view and the high transmission qualities of the lens coatings used the Model 228 lens is considerably more light efficient than other longer focal length lenses offering an identical view. The Model 228 lens offers a true high-resolution crime site macro viewing capability by imaging onto a RUVIS scope with a 1:1 lens magnification whilst exactly matching the optical resolution of both lens and image intensifier.